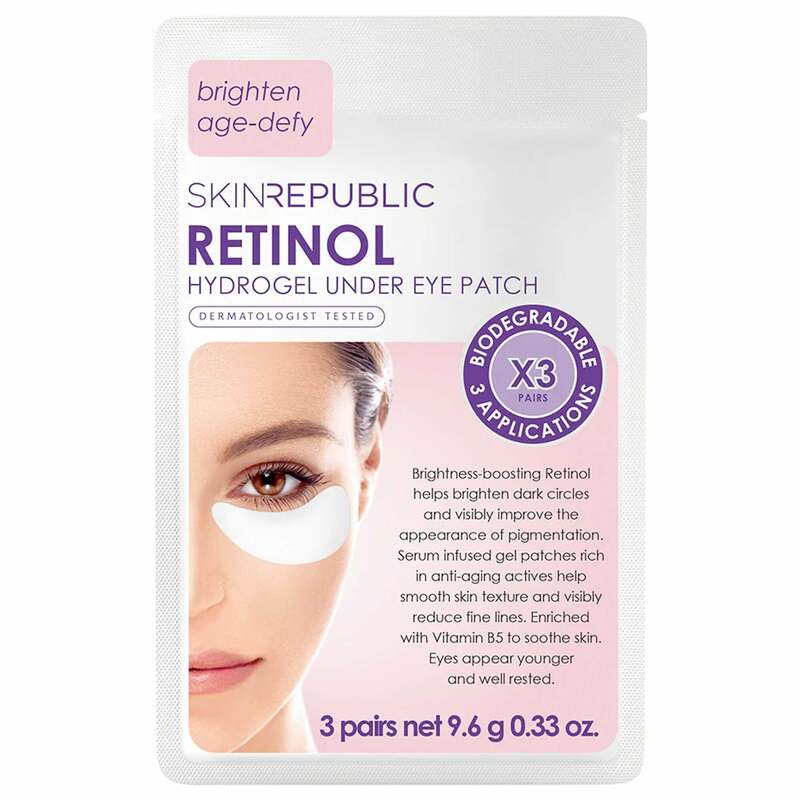 Helps boost the brightness of the retinol. It visibly improves the appearance of pigmentation. The serum helps smooth the skin. Helps reduce fine lines on the face. Enriched with Vitamin B5 to help soothe skin. Helps eyes like healthier and well rested. Cleanse your skin on your face. Place the patch below each eye area. Remove the patches - DO NOT RINSE! As the skin has a 4-week regeneration period, it is most effective when used twice a week for the first month then use how many times you would like afterwards. To ensure the skin is compatible with the eye patch, test a small area of the patch under the eye. The patches are packed in pairs to retain essence, and they are to used immediately after opening. Store the remaining patches in a cool dry place. Skin Republic is a multiple award-winning skin care brand that combine the latest advances in skin care with nature’s restorative properties. Scientifically formulated and dermatologist tested, their products focus on skin care for the face, under the eyes, neck and décolletage, hands and feet. Concentrated nutrient rich ingredients nourish, rejuvenate and hydrate, helping you to maintain healthy looking glowing skin. Founded on the belief that everyone has the right to beautiful looking skin and their uncompromising commitment to quality, Skin Republic offer innovative products developed in South Korea, dubbed by industry experts as the world’s new skin care super power. Skin Republic are continually testing and researching the latest ingredients in skin care to develop new and innovative products.